This is my own interpretation of hot Thai Basil Chicken, but using pork instead. Easy to make and tasty. Makes enough to go with 3-4 bowls of rice. This is a spicy recipe and should be eaten with rice. Place pork in skillet or wok with all the ingredients except the eggs. No need to oil the pan. Scoop out the meat, place on or beside rice. Using the left over oil in the pan, fry the eggs, both sides, just enough to cook the whites. 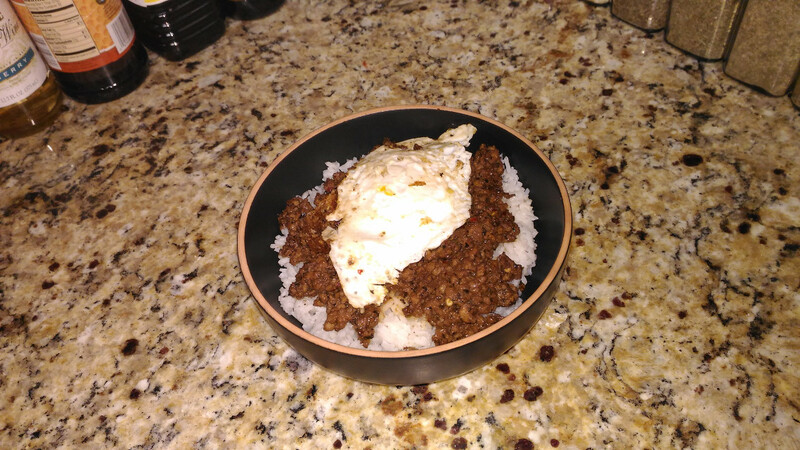 The yolk should remain runny, and break into the meat and rice. 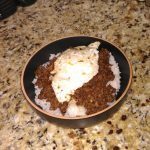 Place one egg on each serving of rice. If desired, add some chopped chives and/or sprinkle some lime juice.